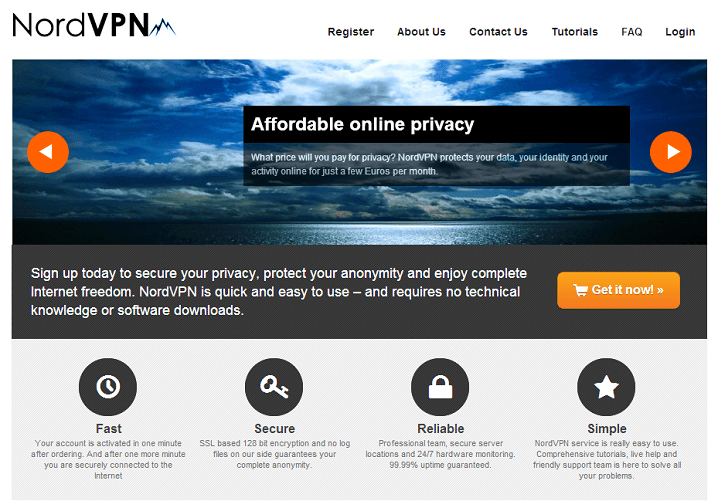 NordVPN is one of the newest service providers in the crowded VPN market. Founded in 2012, the service is brought to you by Tefincom co S.A. which is a Panama based company. Even though its VPN service is quite new, the company has over 4 years of experience in providing hosting and server solutions. In this honest NordVPN review, we look at the features of the service and decide whether it is worth the monthly subscription price. NordVPN has grown its number of VPN servers to include locations in Austria, Netherlands, Sweden, United States, Canada, United Kingdom, Singapore, Lithuania, France, Poland, Romania, Germany, Hong Kong, Switzerland, Spain, Italy, and the Russian federation. Using the service allows you to watch local content from these countries and bypass government and ISP restrictions. So if you are an expat who is visiting a country like China where most of the mainstream sites like Gmail, Twitter, Facebook, YouTube, Blogger etc. are blocked; you can definitely use NordVPN to bypass restrictions and access the blocked sites. The NordVPN service offers blazing fast speeds with unrestricted bandwidth to its customers. The company has excellent infrastructure in place that can support up to 1 GBPS connections. Needless to say, this makes the service a great choice to stream online content, upload and download huge files as well as carry out VOIP activities. While the actual speed would depend on your location and speed provided by your ISP, you should be able to access your favorite content without experiencing any delay. NordVPN is committed to providing the best possible security to its customers. The company does not keep a record of your online sessions neither do they sell or rent your personal information. The service uses 128 bit SSL based encryption that provides very high security and protects your online privacy even at unsecure Wi-Fi spots at malls, cafes, restaurants, bookshops and airports. The NordVPN service can be configured on a variety of devices running on Android, Windows, Mac OS, Linux and iOS. It doesn’t matter whether you want to use the service on an iPad, iPhone, Android Smartphone or a laptop; it is easy to configure and use the service within minutes of signing up. The company provides dynamic IP addresses to its customers but you can request them for a static IP address if you need it for some reason. The company provides customer support through a responsive email based ticket system. 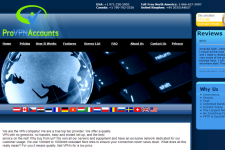 The company’s official site has excellent tutorials on how to set up and configure the service on a variety of devices. The unlimited VPN plan starts from 4 EUR a month. It is also possible to subscribe to 3-month, 6-month and 12-month plans at 12 EUR, 24 EUR and 48 EUR respectively. The company offers a generous 3 day free trial that provides an excellent way to test the service before committing your money. The company does not offer refunds so it is advisable to use the free trial to test the service and then subscribe to a long term subscription plan. Overall, NordVPN is a dependable VPN provider. The company has increased the number of their servers, and they provide a great way to bypass censorship and access blocked content. If you are looking for a reliable VPN service which offers good speeds and takes your privacy seriously then check out NordVPN today. For more information, please visit: www.nordvpn.com. We are using VPN several years already but recently switched to Nord VPN. Have nothing to complain yet. 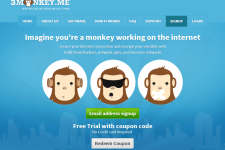 I am new to VPN service in general but i am very happy with this provider. I found some information about Nord VPN on internet and its all correct for now: speed is good, communication and customer support on-time, reliability perfect. I dont know how it would if i were heavy user but for my daily operations it suits very good. If the lication is your concern i am from London. Super good service for VPN. Will recmmend definetly!! !